Hedge funds are not perfect. They have their bad picks just like everyone else. Facebook, a stock hedge funds have loved, lost a third of its value since the end of July. Although hedge funds are not perfect, their consensus picks do deliver solid returns, however. Our data show the top 30 S&P 500 stocks among hedge funds at the end of September 2018 yielded an average return of 6.7% year-to-date, vs. a gain of 2.6% for the S&P 500 Index. Because hedge funds have a lot of resources and their consensus picks do well, we pay attention to what they think. In this article, we analyze what the elite funds think of IAMGOLD Corporation (NYSE:IAG). At the moment there are dozens of signals stock traders use to evaluate stocks. A pair of the best signals are hedge fund and insider trading sentiment. We have shown that, historically, those who follow the best picks of the top hedge fund managers can outclass the broader indices by a healthy margin (see the details here). How have hedgies been trading IAMGOLD Corporation (NYSE:IAG)? At the end of the third quarter, a total of 12 of the hedge funds tracked by Insider Monkey held long positions in this stock, a 20% drop from the second quarter of 2018. 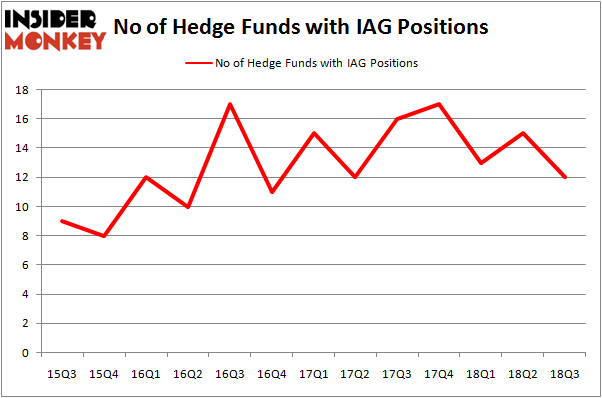 The graph below displays the number of hedge funds with bullish position in IAG over the last 13 quarters. With hedge funds’ positions undergoing their usual ebb and flow, there exists a select group of notable hedge fund managers who were adding to their stakes substantially (or already accumulated large positions). More specifically, Renaissance Technologies was the largest shareholder of IAMGOLD Corporation (NYSE:IAG), with a stake worth $76.6 million reported as of the end of September. Trailing Renaissance Technologies was Paulson & Co, which amassed a stake valued at $6.8 million. Sun Valley Gold, Citadel Investment Group, and DC Capital Partners were also very fond of the stock, giving the stock large weights in their portfolios. Seeing as IAMGOLD Corporation (NYSE:IAG) has experienced bearish sentiment from the smart money, we can see that there lies a certain “tier” of hedge funds who sold off their entire stakes last quarter. It’s worth mentioning that Noam Gottesman’s GLG Partners said goodbye to the biggest investment of the “upper crust” of funds tracked by Insider Monkey, totaling an estimated $8.1 million in stock, and Dmitry Balyasny’s Balyasny Asset Management was right behind this move, as the fund sold off about $0.4 million worth. These transactions are intriguing to say the least, as aggregate hedge fund interest was cut by 3 funds last quarter. Let’s go over hedge fund activity in other stocks – not necessarily in the same industry as IAMGOLD Corporation (NYSE:IAG) but similarly valued. These stocks are Nevro Corp (NYSE:NVRO), Sangamo Therapeutics, Inc. (NASDAQ:SGMO), Aircastle Limited (NYSE:AYR), and Cango Inc. (NYSE:CANG). This group of stocks’ market valuations match IAG’s market valuation. As you can see these stocks had an average of 17 hedge funds with bullish positions and the average amount invested in these stocks was $156 million. That figure was $107 million in IAG’s case. Sangamo Therapeutics, Inc. (NASDAQ:SGMO) is the most popular stock in this table. On the other hand Cango Inc. (NYSE:CANG) is the least popular one with only 2 bullish hedge fund positions. Compared to these stocks IAMGOLD Corporation (NYSE:IAG) is only more popular than CANG. Considering that hedge funds aren’t overly fond of this stock in relation to its market cap peers, it may be a good idea to hold off on buying this one until the smart money is more bullish on gold. 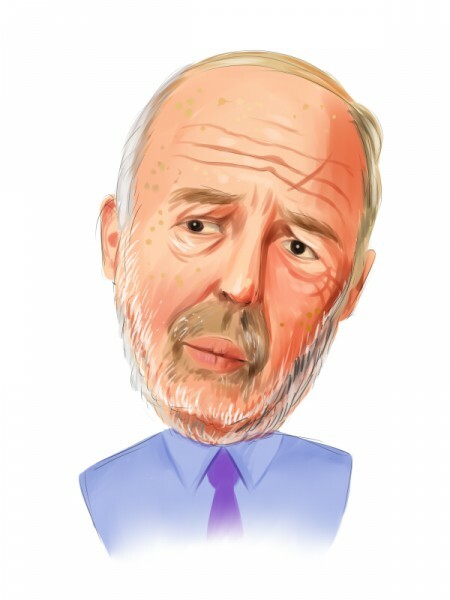 Hedge Funds Are Underwhelmed by Sanofi (SNY)’s Growth Prospects Hedge Funds Are Dumping C.H. Robinson Worldwide, Inc. (NASDAQ:CHRW) Is It Time to Follow Hedge Funds Into BP p.l.c. (BP)? Billionaire Ken Fisher is Betting Big on this Japanese Banking Giant Is Old Dominion Freight Line, Inc. (NASDAQ:ODFL) A Good Stock To Buy? Is Ulta Beauty, Inc. (NASDAQ:ULTA) A Good Stock To Buy?